Henry Shefflin guided Kilkenny to a 2-21 to 1-16 win and another All-Ireland SHC final appearance as his personal tally of 1-13 left Clare crestfallen at Croke Park this afternoon. The Cats will meet champions Cork in the decider for the third time in four seasons on 3 September. Shefflin netted after only 75 seconds but the Leinster champions were pegged back to 1-10 apiece by half-time. Niall Gilligan’s eighth-minute goal was Clare’s springboard, yet they missed three further goal chances in the opening half. In front of 70,978 spectators, Kilkenny substitute Eoin McCormack cracked home a crucial 49th-minute goal and Frank Lohan’s late sending-off – for a second bookable offence – signalled the end for the Banner men. Stung by their one-point defeat to Cork in last year’s semi-finals, Clare manfully fought back to the same rung this summer, but beating Kilkenny just proved one step beyond them. Credibly, they never went into their shells after conceding the early goal – that is just not the Clare way – but Anthony Daly's spirited side, steeled by a magnificent display by centre-back and captain Seanie McMahon, were left frustrated with a second half return of six points. The Munster men needed to at least double their first half tally and they knew it, but Kilkenny, even though they accumulated 20 wides, were never going to lose with Shefflin in such dead-eye form. His early goal owed much to an error by Clare full-back Brian Lohan. The Shannon man misjudged the bounce of a high ball in towards the square and the lurking Shefflin was on hand to flick home past a stranded Davy Fitzgerald. Shefflin followed up with two frees as the Cats moved ominously into a 1-02 to no score lead. It could have been worse for Clare – a drilled shot from Eddie Brennan in the third-minute twanged off the crossbar with Fitzgerald beaten. Points from Tony Griffin and Gilligan (free), sandwiching a Derek Lyng score, got Clare up and running and a timely goal closed the gap to two. After Eoin Larkin had done well to shorten his grip and ping over Kilkenny’s fourth point, a long delivery from McMahon, right into the danger zone, saw goalkeeper James McGarry get a rush of blood to the head. He came out to claim it, but the ball spun behind him and Gilligan raced in to help it to the Kilkenny net from just inches out. Barely a minute later, Griffin should have added a second Clare goal but he miss-hit his shot and McGarry breathed a sigh of relief. It was really 'game on' when McMahon floated over a free in the 13th-minute, leaving the score at 1-04 to 1-03 in Kilkenny’s favour. For a time, the Cats’ defence was found wanting as a shoulder injury to centre-back John Tennyson left a big hole for Brian Hogan to fill. On the quarter hour, Clare carved out another goal chance, however McGarry got the better of Gilligan on this occasion. Points from Griffin and Gilligan, in between Alan Markham being fouled when bearing down on goal, then sent Daly’s men in front for the first time. The scores were coming thick and fast now as Griffin added his third of the afternoon, while Martin Comerford, Brennan and Shefflin ('65') swamped a McMahon free with three Kilkenny points. McMahon, with yet another lengthy free, and Derek Quinn managed to nudge Clare two ahead – at 1-09 to 1-07 – although the Cats clawed their way back in front just before the break when Shefflin (0-02) and Comerford, almost effortlessly, stroked over three points between them. McMahon had a chance from a free to draw the game level – it sailed wide – and it was left to Tony Carmody to square up an enthralling semi-final for the fourth time at 1-10 apiece. As the second half began, Kilkenny's wides tally was beginning to mount with both Comerford and James Ryall hitting their side’s tenth and eleventh wides. Shefflin got them back on track with a free, a minute in. Diarmuid McMahon replied, although it was becoming increasingly obvious that the only way Clare were going to win was if they stopped Shefflin. The 27-year-old fired over twice in quick succession, with James 'Cha' Fitzpatrick also off the mark, as Kilkenny went into a 1-14 to 1-11 lead. Griffin was doing his best at the other end, slamming over his fourth point, but the game was well and truly slipping from Clare's grasp in the 49th-minute when the Cats were awarded a penalty. McCormack was fouled when running towards the Hill 16 goal, and while referee Seamus Roche incredibly cancelled out the penalty award when Eddie Brennan clashed with a Clare man, McCormack still got his mits on a major. The James Stephens clubman got a slice of luck when from Roche's throw ball, the sliotar worked its way into his path and he arrowed a shot past an unsighted Fitzgerald, at his near post, to creep the Cats 2-14 to 1-12 ahead. Clare did their best to overhaul that five-point deficit as Carmody, Gilligan and the ever-reliable McMahon (free) all pointed. Gilligan had a chance to make it a one-point game, but lost his nerve, firing wide from a midfield free. The result was still in doubt and Croke Park filled with a crescendo of noise when McMahon slung over his fifth point – from just outside the 65-metre line – to make it 2-14 to 1-16. Shefflin and Kilkenny, though, were calmness personified and two more points from the five-time All-Star’s hurl eased his side a goal clear. 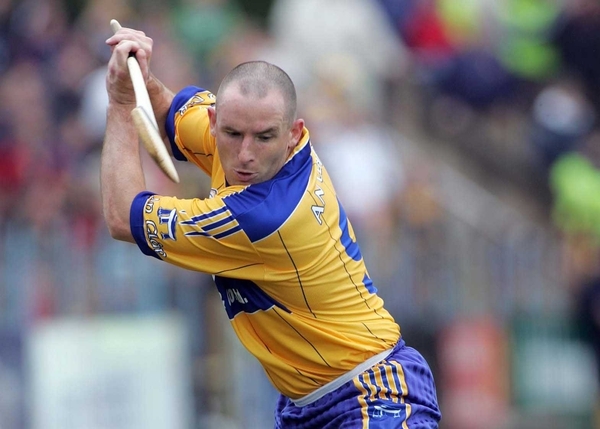 Brennan won a 67th-minute penalty off Frank Lohan, which Shefflin pointed, and a minute later, Clare's 2006 championship was effectively at an end when corner back Lohan was dismissed for striking the free-running Brennan. Shefflin pointed the resultant free and added another score in injury-time to almost out-point Clare on his own. Larkin and substitute Richie Power also fired over in metronome-like fashion as Kilkenny set up the rematch they have always wanted since September 12, 2004 when Cork dashed their three-in-a-row dreams with a 0-17 to 0-09 defeat. 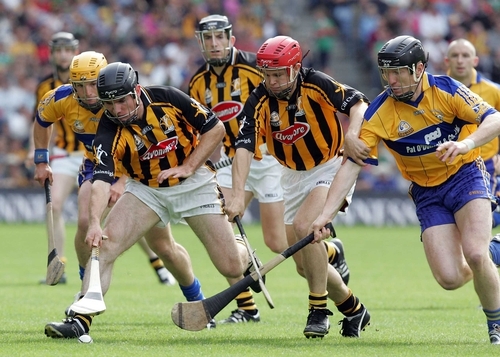 Kilkenny: J McGarry; J Tyrell (capt), N Hickey, JJ Delaney; J Ryall, J Tennyson, T Walsh; D Lyng (0-01), J Fitzpatrick (0-01); M Rice, H Shefflin (1-13), E Larkin (0-02); E Brennan (0-01), M Comerford (0-02), A Fogarty. Clare: D Fitzgerald; G O’Grady, B Lohan, F Lohan; B O’Connell, S McMahon (capt) (0-05), G Quinn; J Clancy, C Lynch; D McMahon (0-01), T Carmody (0-02), N Gilligan (1-03); T Griffin (0-04), A Markham, D Quinn (0-01).